My First Time Applying Natural (NOT Black) Henna! 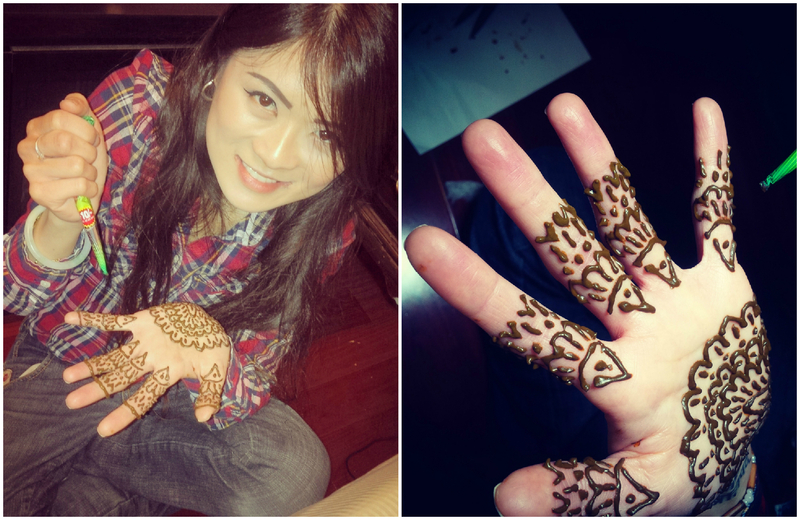 Growing up in a predominantly South Asian community, I would see a lot of my female friends with henna (also known as mehndi) designs on their hand(s) every now and then for festive occasions like weddings or just for fun. In elementary school, I remember admiring this cosmetic art so much that I attempted to recreate the designs on my left hand (since I am right-handed) with brown, washable Crayola marker several times. I was terribly unsuccessful every single time (in case you were wondering). 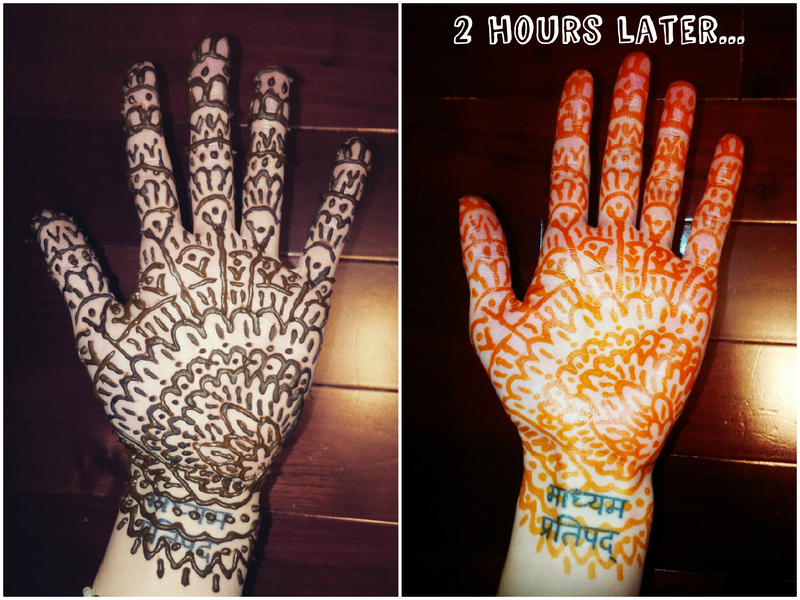 As a grown woman now with better fine motor skills, I finally felt ready to upgrade from brown Crayola markers to real henna, especially since I will be attending an Indian wedding for my first time with Raj in about a month. How hard could it be? Raj and I went to his local Indian grocery store where I was asked if I wanted brown or black henna. I had no idea there were two different colours! I just wanted the reddish brown henna that I remember seeing on the hands of my childhood girlfriends, so I opted for the brown one. It was lucky I chose the brown henna, because I found out later that black henna is synthetic and may contain skin irritants and toxins such as p-Phenylenediamine (PPD). Natural, pure henna paste for skin art is prepared by mixing henna leaf powder with a liquid such as water or lemon juice. 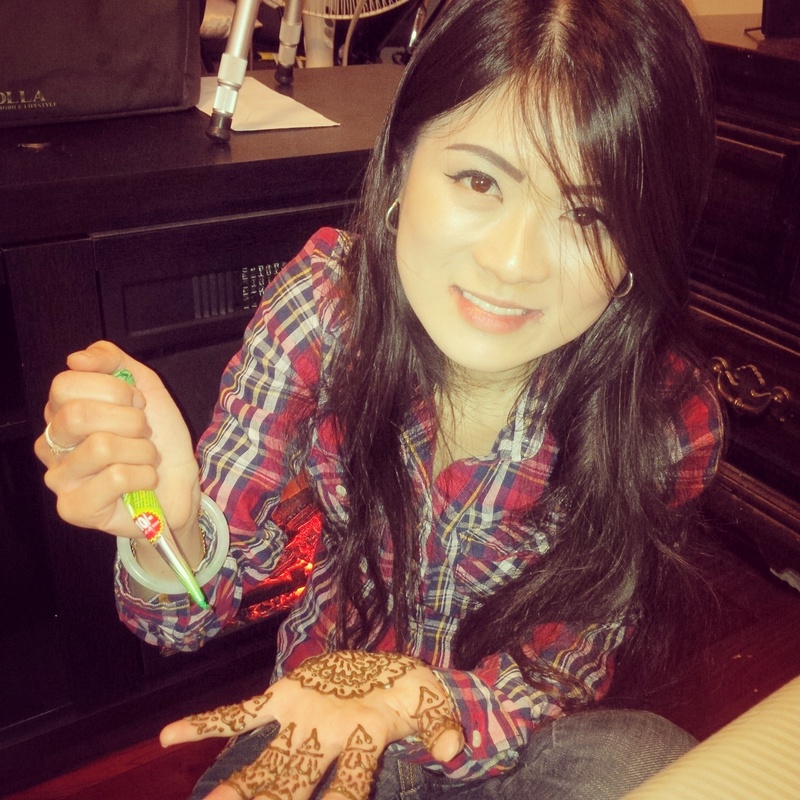 The paste can then be applied in intricate patterns all over the hands. After about 20 minutes, the paste will dry out on your skin and begin to crack a little. At this point, you can gently re-moisten the henna design on your skin with lemon juice and let it re-dry out again for a more intense colour afterwards (I did not do this). 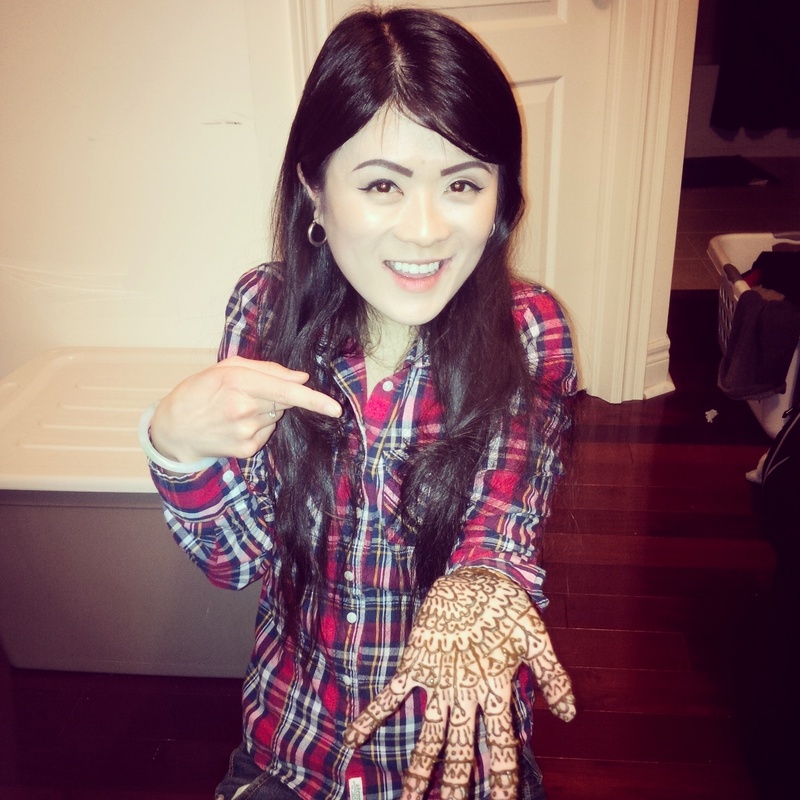 You can also wrap your hand(s) in a plastic bag after the henna design has completely dried to allow your natural body heat to develop the colour even further (I did not do this either). 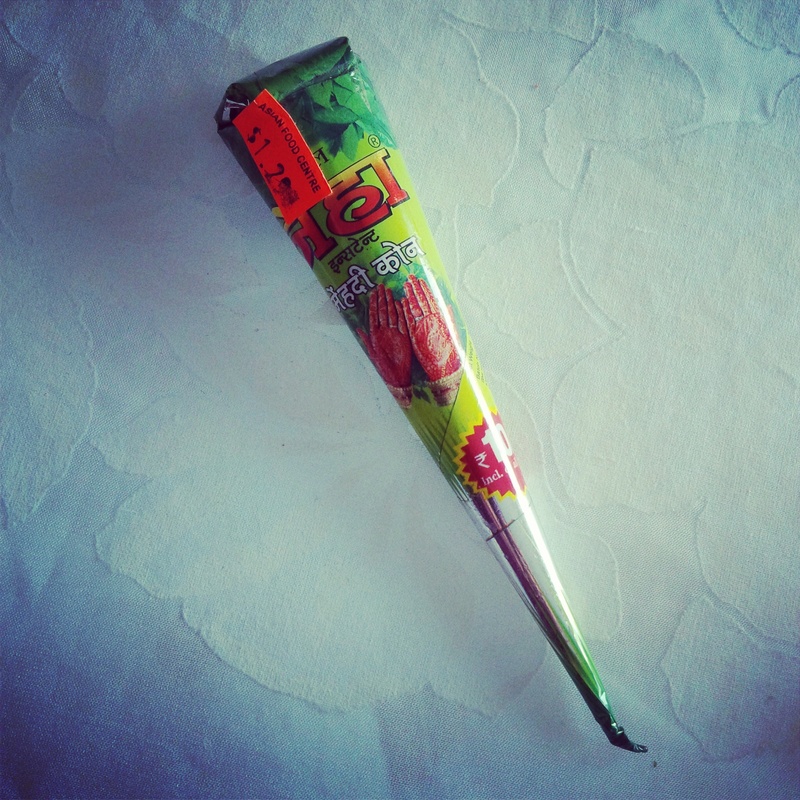 Raj’s mom suggested I wrap my left hand in a plastic bag and go to sleep with it on to let the colour intensify overnight. However, patience is not one of my strengths. After two hours, I could not wait any longer and had to wash it off. Raj’s mom and I were shocked at how intense the staining was after only two hours sans lemon juice and sans plastic bag! That initial colour intensified even more via oxidation during the first few hours after washing off the henna!